RA2 Select - Technical Comfort, Inc.
You can have the luxury and automation you want with RA2 Select, the personalized smart lighting, shade and temperature control system from Lutron. Finally, you can enjoy a special room or a whole house full of one-button convenience...even when you’re not there. That’s because in addition to all of the stylish controls that Lutron offers, you can also use the free Lutron App to monitor and adjust your lights, shades and temperature on your smartphone or tablet. A home filled with RA2 Select gives you freedom and function you’ve never enjoyed before. Lutron’s Geofencing technology can sense you are on your way home and set the lighting, shades and temperature just the way you like them -- all without lifting a finger. Or schedule your outside lighting to light your path to your front door at the end of a busy day. Once you arrive inside, a sensor or a single button press, lights your path to your bedroom sanctuary. Getting ready for dinner? Set multiple lights and shades to create just the right mood for cooking or dining. And when you’re all done and ready to relax, a specially programmed Relax button dims the room and lowers the shades. Want to watch a movie instead? Everything but the popcorn is ready for you in your home theater -- lights dimmed and the shades are down to eliminate glare -- just by pressing the Movie button. At bedtime, the Good Night button tells your home it’s time to end the day. Shades lower for privacy, interior lights go off to save energy, and exterior lights stay on for security. Hear a noise? Press the Alert button to turn on hallway and security lights. And in the morning, your shades rise with the sun -- or any time you choose -- to help you start your day. As part of our Lutron Design services, we’ll plan out where each of your Lutron controls and dimmers will go. Then we will install and program them to work as you wish. And if you need the flexibility of adding controls in new places later on, no problem. Control your home by mounting our Pico Scene Remotes almost anywhere without cutting a hole in a wall, running wires or repainting. That’s because all Pico Remotes are wireless. Automated shades and drapes enhance the decor and help control your environment in any room in your home. Even with hard-to-reach windows, you can have instant privacy when you need it, and let the sun shine in when you want it. Lutron offers three kinds of shades and drapes, with beautiful fabrics available for each. Roller Shades -- These shades look great with both traditional and contemporary designs. You can even install them where there’s no electricity nearby because battery powered options are available. Honeycomb Shades -- Add luxury to your room with these elegant and unique textures. And the cellular design adds a level of insulation. Battery powered options are available for Honeycomb Shades, too. Drapery Systems -- With pinch pleat or ripplefold styles, any room can look more elegant with these beautiful automated drapes. Roman Shades -- They’ve never been quite so reliable, smooth and quiet. There’s really no end in sight for what you can do with your RA2 Select System. Is RA2 Select Right for Your Home? RA2 Select was designed with the small to medium sized home in mind. Control up to 100 devices covering a range of 5,000 square feet. Expand your system’s reach with up to 4 auxiliary repeaters. And whether you are designing a new home or retrofitting, RA2 Select will work for you because it can use existing wiring for all of its wired components. Does RA2 Select seem like the right fit? 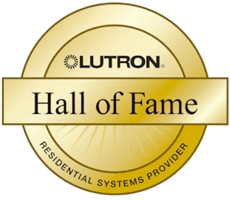 Or are you still not sure which Lutron System is right for you? Either way, give us a call. At Technical Comfort, we are always busy and in demand, so please call us early so we can schedule time for you. Our office is conveniently located in Laguna Niguel, close to all of Orange County and surrounding areas.